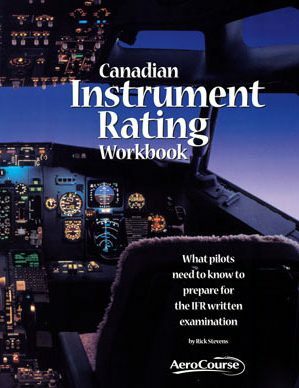 Canadian Instrument Rating Workbook is required for this course. Workbook, MET & Aim bundle is recommended. This three-day seminar is designed to lead students in a logical progression through the steps and knowledge necessary to carry out an IFR flight. Each online lesson can be reviewed a total of two (2) times with 120 days to complete all the lessons from receipt of the activation code. One (1) activation code will be emailed upon registration to the IFR Ground School Seminar giving access to all three online courses. This three-day seminar is designed to lead students in a logical progression through the steps and knowledge necessary to carry out an IFR flight. It is intended to help students prepare for the Instrument Rating INRAT exam and show pilots the practical world of instrument flying. This seminar provides a solid foundation in all the practical and theoretical aspects of IFR flight. It is further enhanced by our instructors’ actual IFR experiences. The Canadian Instrument Rating Workbook 9th edition (2017) is a requirement when taking the IFR Seminar, it can be ordered with the course. We also strongly recommend the Aviation & Meteorology: Weather Fundamentals manual as this is heavily referenced in the course. Included in the course is the Online IFR Procedures course. Cost $560.00 (price includes the Online IFR Procedures course, and the CRM and CFIT online courses). Other supplies needed are Canadian Instrument Rating Workbook 9th edition (2017), current AIM, C.A.P. General, Flight Computer (Jeppesen or equivalent), regular calculator (with square root function). Aviation & Meteorology: Weather Fundamentals manual, Airframe Icing booklet are recommended. Met Theory – as it pertains to IFR Flight including icing, thunderstorms and radar. 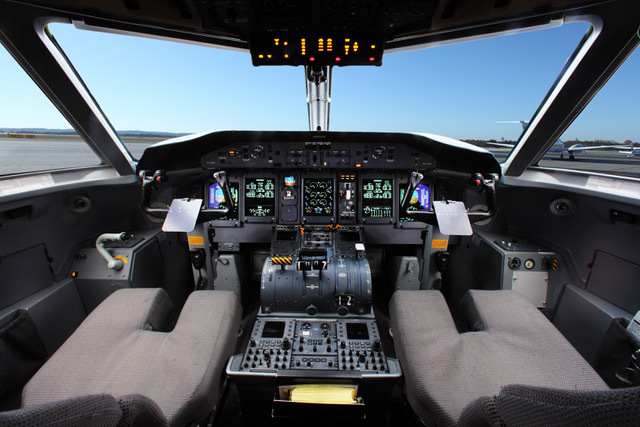 Practical Met – including aviation forecast, reports and charts. IFR Procedures – Canada Air Pilot, approach plates, LO charts, IFR operating MINIMA, departure, and approach procedures. Radio Aids – GPS, ILS, VOR/DME and ADF. Air Regulations & Airspace – Air traffic control procedures and communication. Flight Ops – Airmanship including Canadian Runway Friction Index (CRFI), VASIS & PAPI and approach lighting, approach slope indicators, wind shear and human factors. Review of sample exam questions and exam writing techniques. In addition to the 3 dayIFR Ground School Seminar lead by one of our instructors, you will also receive access to the online IFR Procedures Course. This online component is designed to prepare you for the 3 day ground school seminar and is used as a pre-study exercise to be completed prior to attending the seminar. It will provide you the ability to identify any key areas of deficiency and reviews basic IFR information you are expected to be familiar with before attending the seminar. Each lesson can be reviewed a total of two (2) times within a 60 day timeframe. The online IFR Procedures Course takes approximately 4-6 hours to complete. You will also receive access to two other online courses of benefit to every pilot, CFIT and CRM. These courses are self-paced and not required to be completed prior to the IFR seminar yet must be completed within the activation timeframe. These two separate online courses are provided to further enhance a pilot’s safety, performance and professionalism. Each online lesson can be reviewed a total of two (2) times with 120 days to complete all the lessons from receipt of the activation code. One (1) activation code will be emailed upon registration to the IFR Ground School Seminar giving access to all three online courses.